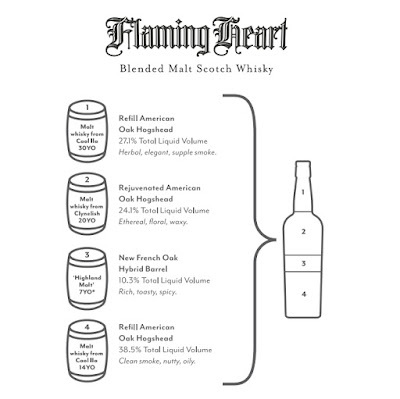 Flaming Heart was born in 2006. It was the first whisky to combine the rich spices of Scotch whisky matured in French oak and the peaty smoke of Islay malt. 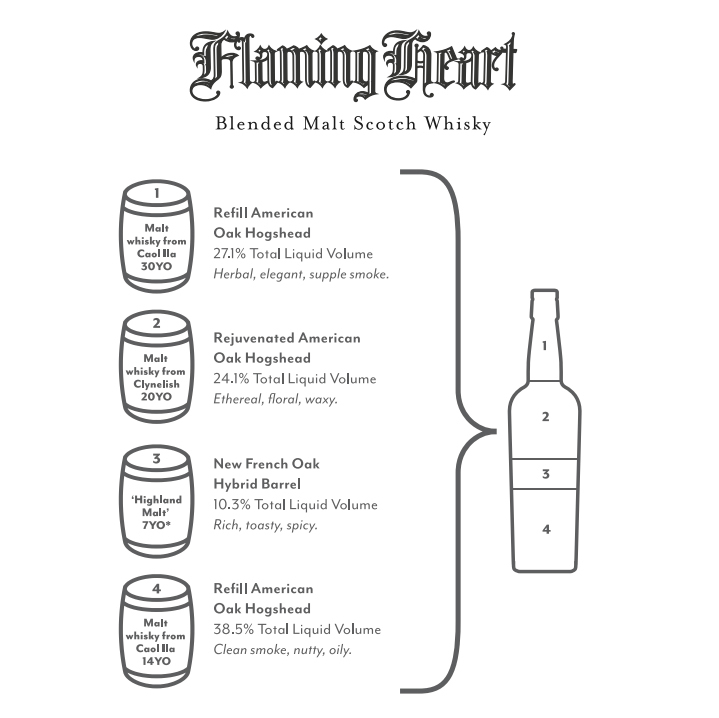 The whisky, that defied a genre, was smouldering, complex and spicy. It became so popular three more releases followed. This anniversary release is a huge, layered, long-lasting mouthful of a whisky to enjoy late into the night. 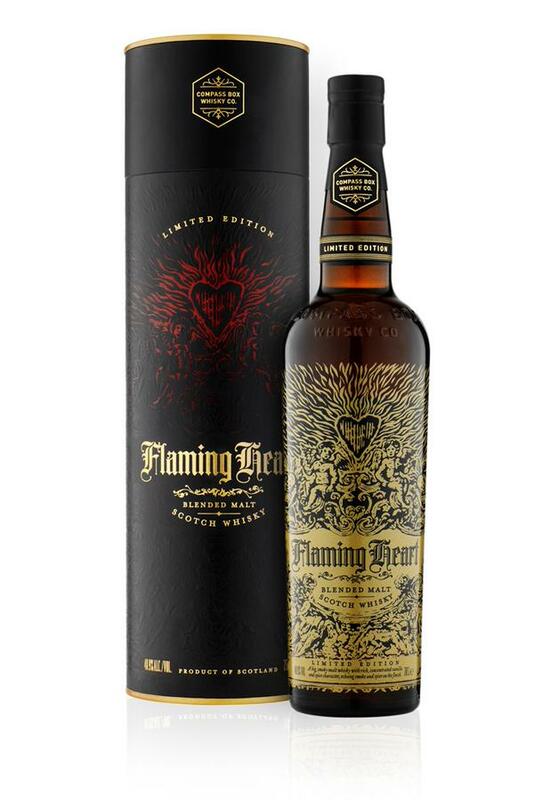 Brooding, indulgent and older than ever before, this is a whisky born of oak, smoke and fire. And with a big heart all of its own. Flaming Heart is a marriage of 27.1% Caol Ila 30 years old (refill Am. Hogshead), 24.1% Clynelish 20 years old (rejuvenated Am. Hogshead), 10.3% Highland malt 7 years old (nieuwe Franse eik) and 38.5% Caol Ila 14 years old (refill Am. Hogshead). A unique interplay between spice, sweet and smoke characteristics. Sweet fruits and wood-smoke on the nose. Fat and full-bodied on the palate with a spicy sweetness and a brooding complexity that is rich, sweet and addictively decadent. Alochol: 48.9% ABV. Output: 12.060 bottles. Available from October 15.